Tom Collins, who recently resigned as a Clark County Commissioner, was arrested on for DUI on December 12th. Reportedly, he was involved in an accident in which someone in another car was injured. 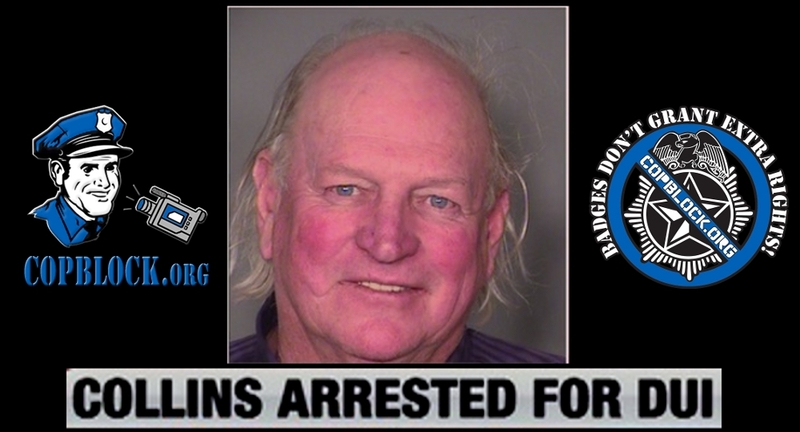 Prior to being arrested, Collins apparently spent the evening getting liquored up at the National Finals Rodeo, which is held annually at the Thomas and Mack Center on the UNLV campus. Metro’s dispatch and booking logs show that Collins, whose legal name is Clarence Weldon Collins Jr., was involved in a car crash with injury about 7:02 p.m. Friday near Flamingo Road and Koval Lane. More information on the wreck was not immediately available Saturday. Collins was booked at 7:50 p.m. and faces charges of driving under the influence and being above the legal limit, logs show. Another tweet from Collins’ account shows that he was at the WNFR with his mother on Thursday. Thomas and Mack is about a mile and a half from the location of the car crash. This isn’t exactly surprising to residents of Las Vegas, since Collins has been unofficially and less than affectionately known as the “Town Drunk” by many during his time as a county commissioner. Stories of his drunken exploits are pretty common and there’s even been speculation about whether he was drinking during commission meetings. Nor is this his first rodeo. (You saw what I did there.) In 1991 he was involved in a felony drunk driving incident in which he and two other passengers in his truck were injured. 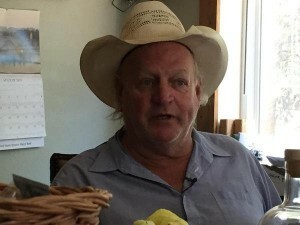 Most famously, in July of 2012 Collins “was mad at his tree so he took his firearm out of the truck and began to shoot at the tree and a post in his backyard.” In spite of noticing open whiskey and beer bottles on the ground and inside his truck, which was parked nearby and running, (and the ridiculousness of that statement) police officers responding to his neighbors’ complaints of gunshots didn’t arrest him for using a gun while drunk (which is a felony in Nevada), for a DUI, or even for discharging a gun recklessly. They just took his guns away and left, without even giving him a sobriety test. In fact, the minor charges he faced after the incident were ultimately dismissed altogether. So the one thing that is somewhat surprising is that he was actually arrested this time, however the fact that there was an injury involved probably forced Metro’s hand. Given Collins’ long history of supporting the LVMPD and benefiting from special treatment from them, there’s somewhat of a chicken and egg argument about who is repaying whom. He voted to overturn the reforms to the flawed Coroner’s Inquest process for reviewing police shootings which were prompted by the murder of Erik Scott in 2010. Instead, an even more flawed process was put into place after lawsuits by the LVMPD and police union opposing the reforms were defeated. In addition, Collins was the biggest proponent of the “More Cops” tax, that sought to raise local sales taxes to fund hiring additional cops for the already overpaid and mismanaged Las Vegas area police departments. Collins literally refused to listen to the citizens of Clark County, constantly bringing the proposal back after it was repeatedly defeated over the course of nine months in 2013/14. Collins was criticized heavily after making remarks to a Utah politician that could be classified as indirect threats that people coming from out of state during the Bundy Ranch standoff would be killed by BLM agents. He also made waves recently when recordings of phone calls were released of him talking badly about other commissioners. In addition, there’s been speculation that his resignation from the county commission was in part due to yet another scandal involving “inappropriate” emails he sent to county staff members. On a lighter side, one of the most interesting revelations brought about by his arrest is the fact that his actual legal name is Clarence. The fact that he is known for being an alcoholic and is named after a famous drink has always been a running joke. Knowing that he chose to name himself that takes it to a new level.